Oh K! 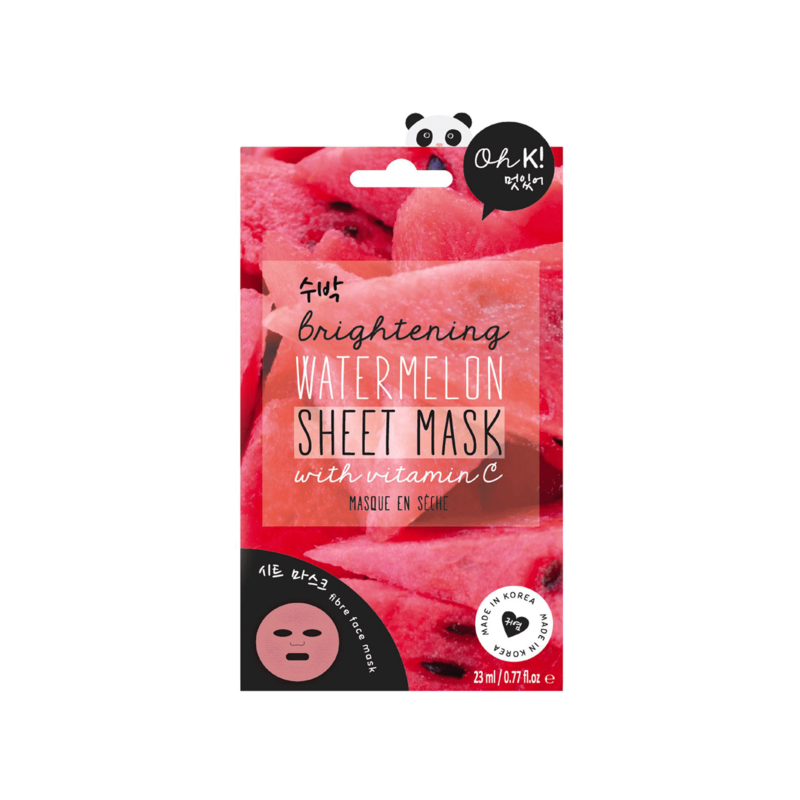 Vitamin C Watermelon Sheet Mask-Oh K! A revitalizing hydration hit for anyone seeking brighter, summer ready skin! Pink tencel sheet mask formulated with watermelon and vitamin C to brighten and hydrate the skin. Fiber sheet masks create a barrier on the skin to prevent the formula from evaporating and are designed to deliver a supercharged dose of skin hydrating ingredients. Aqua (Water,Eau), Dipropylene Glycol, Glycerin, Alcohol, Butylene Glycol, Paeonia Suffruticosa Root Extract, Centella Asiatica Extract, 1,2-Hexanediol, PEG-60 Hydrogenated Castor Oil, Carbomer, Chamomilla Recutita (Matricaria) Flower Extract, Glyceryl Caprylate, Hydroxyethylcellulose, Xanthan Gum, Ethylhexylglycerin, Potassium Hydroxide, Sodium Hyaluronate, Citrullus Lanatus (Watermelon) Fruit Extract, Sodium Ascorbyl Phosphate, Disodium EDTA, Parfum (Fragrance).